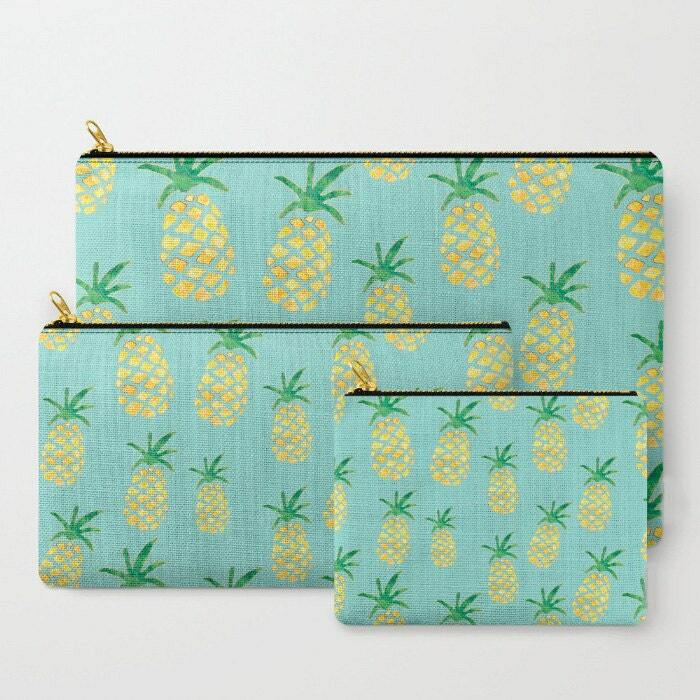 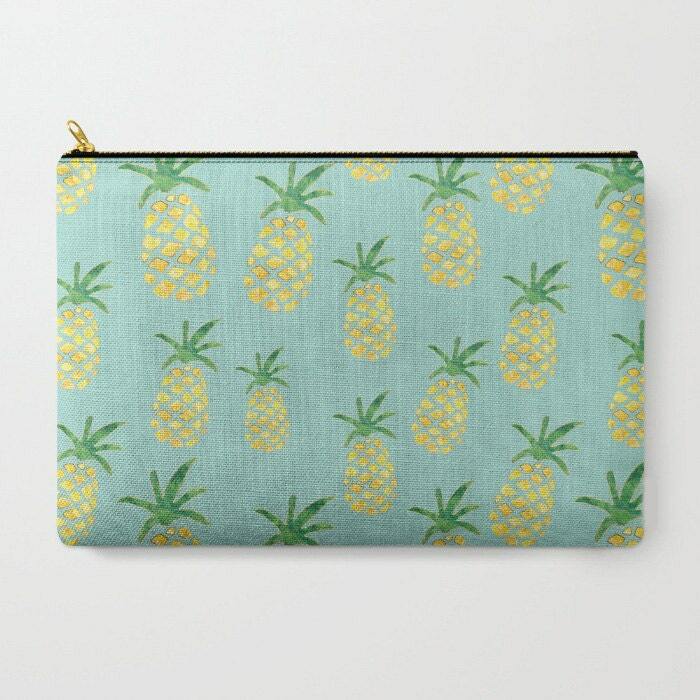 Fun and fabulous pineapple print on mint background. 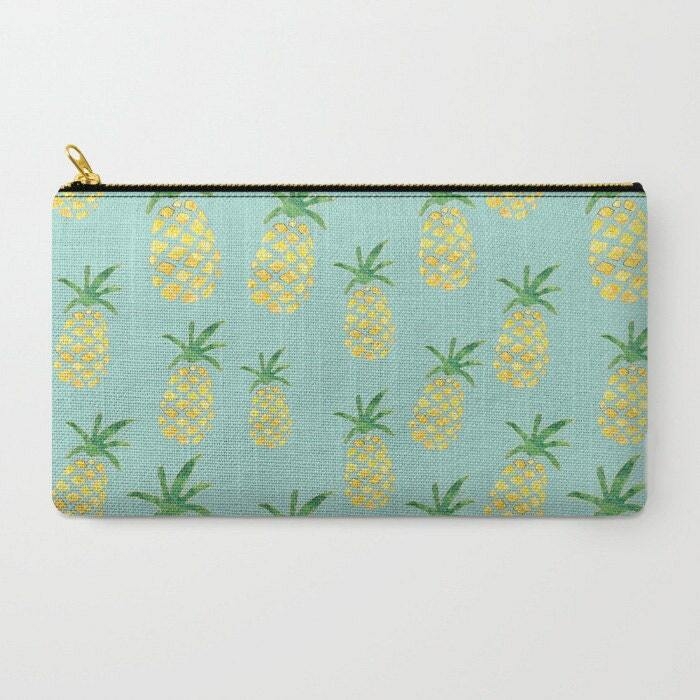 Pineapples are filled with watercolor yellow and green with gold foil-look edges. 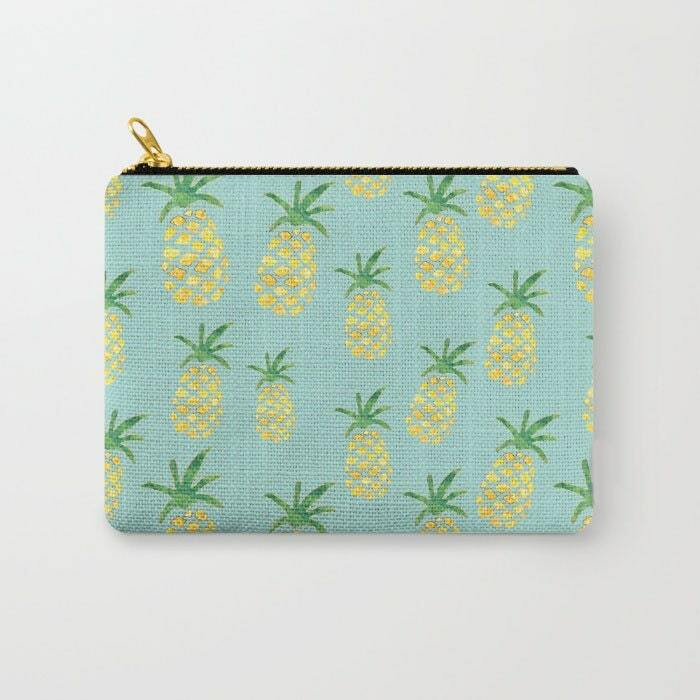 very cute well made bag.